If you haven't already started exploring Docker then you will have no doubt heard and read about it. 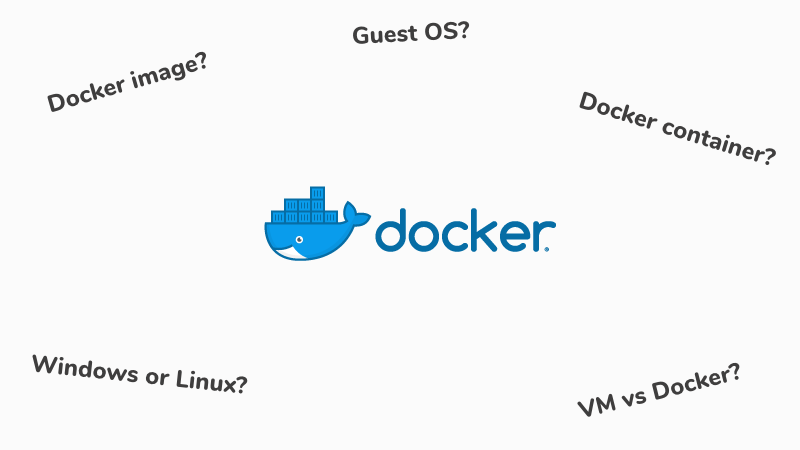 Docker containers are challenging VMs as a new favourite tool for devops and developers alike. In this article, we will take a look at the basics and what a Docker image vs container is all about. You are probably already well familiar with the typical virtual machine setup. In essence, you select your server configuration, such as memory, CPU and so on and then an operating system to run upon it. Underlying the virtual machine, somewhere in the stack, is some physical hardware and the resources are shared between virtual machines. The host hardware performs a balancing act of sharing resources between all the virtual machines, giving more computing power when required and shifting it around accordingly. This is the defacto offering for most hosting providers - you "own" the virtual machine and are entirely responsible for its running. In the VM scenario, all instances of the virtual machines are running an operating system. The inherent cost is giving up your resources to the OS which leaves whatever is left over for the job of running your application. If you have a virtual machine with 2 gigabytes of the memory, the operating system might be consuming 1 gigabyte before you have even served your first user request. Docker takes a different approach that is best visualised. The Docker approach does away with the notion of a guest OS and instead acts as more of an application broker to the host OS. Does this mean the operating system is abstracted away through "emulation" ? Docker for Windows actually runs a minimal Linux on Windows using Hyper-V (although this is big over simplification and in a recent beta, it actually becomes possible to run native Windows containers!). The term "container" probably conjures up an image of a shipping container which is the perfect analogy. Your apps run inside a container and everything that it needs is then within the container. For example, if your application were to make use of an native image processing library to resize images users might upload, then this library would be added to your container. Images are essentially a snapshot of a container that are then used to base containers upon. For example, if you were to build a Node app, you would typically use an existing Node container image. These are described in an aptly named Dockerfile. This is a Dockerfile taken from a Node.js-based Divio project. In this example, the FROM directive tells Docker that we want to use a Node image as a basis for a Node.js application. Specifically, it refers to the Node repository at Docker Hub. In this case, since we specify node:8, it references Node 8.12.0-jessie. You can find images for almost everything at Docker Hub which is a large community repository for Docker images. You can probably already begin to see the benefits just with this simple example configuration. The most obvious is, of course, that the computing resources are entirely dedicated to your containers. If you pay for a certain specification then that is actually what is made available to you without having consider the loss of resources to be shared with a guest OS. It becomes easier to understand scaling and resource consumption without having to factor in the guest OS. Docker has quickly become a top topic in dev-ops for its savings in setup and configuration time. In the example above, one line gave us a working Node environment that is ready to run our application. This is amplified during development, especially in a team environment. Rather than needing to install your development repeatedly across the team, perhaps mixing Linux, OS X and Windows, you can simply use a container and be assured of the same environment. Your development machine is kept clean with everything neatly inside the container. Your local working environment then perfectly matches your testing, pre-production and production environments with no risk of different binaries or libraries. One test can cover everything without needing to worry about differences in environments. By having everything in your container, patches and changes can be easily versioned through Git. In contrast, if you were to install a patch directly on your VM, replicate across your other environments then find it leads to a another issue, rolling-back can be messy and cause breakage along the way. Perhaps someone in the team has a patch or change whilst others stay on another version causing lost time in debugging environments. Anywhere Docker can run, you can run your container. This means without changing a line of code, you can run your container on AWS, Azure and others. Perhaps a customer wants to move an application to there own data centres long after a project finishes - the container can be readily migrated without needing to review deployment scripts or vendor-specific steps. Divio doesn't use traditional virtual machines. All applications run on Divio are container-based. When you first install the Divio Desktop application, it will automatically install Docker and configure it accordingly if it is not already installed. Further, the Divio CLI (command-line) can simplify working with Docker and wrap some more complex commands. 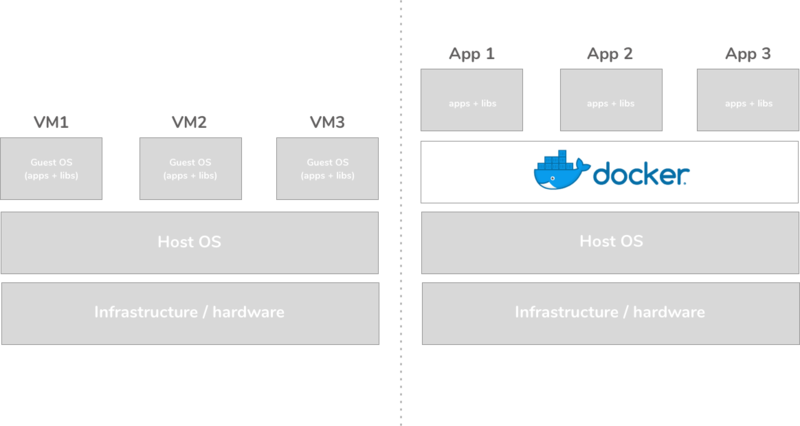 When you run your application, a container is built and run on your machine locally. When you deploy to either testing or production, an identical container is then also deployed for you. If you want to get started quickly with Docker, head to the Divio Control Panel and create a new project then use Divio Desktop to sync it with local environment and you have your first Docker container up and running in a minute or so.